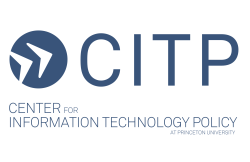 On Thursday April 3 2014, as part of its ongoing lunch lecture series, Princeton CITP presented Steve Schultze – Global Internet Freedom: Where Do We Stand? at Princeton University NJ. Steve Schultze, who works on Internet Freedom at the Department of State, discussed how his office defines and supports Internet Freedom. He also described the evolving landscape of domestic and international factors that influence the freedom of individuals to assemble and organize via digital means. He placed this in the context of broader human rights obligations, and recent statements by the United States and other governments about how the Internet relates to age-old freedoms. Video is below.